Love. Blood. Betrayal. Revenge. 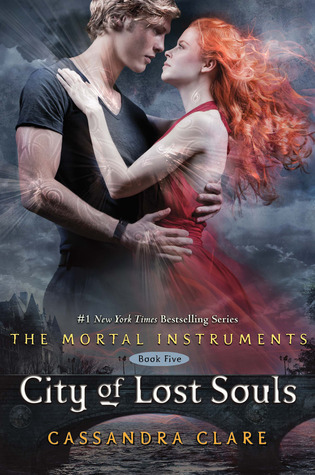 Darkness threatens to claim the Shadowhunters in the harrowing fifth book of the Mortal Instruments series. From Goodreads. I do have to say Mrs. Clare sure can write amazing books. I haven’t read a single book that I haven’t fallen in love with by her. I hope I always love her books as much as I love this series and her Infernal Device series. I loved how this book began right where City of Fallen Angels left off. Poor Clary, not knowing what was happening to Jace who she obviously loved more than her own safety. And Alec and Izzy are willing to do anything to help her get him back. Of course what brother and sister wouldn’t do that after losing their youngest brother? Of course that statement doesn’t work with Clary and Jonathan/Sebastian. I thought the book was so heartfelt. I wanted Jace back, I wanted Alec to get over his insecurities with Magnus, and I wanted Izzy to realize that loving someone wouldn’t break you. 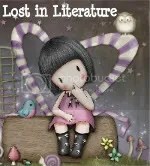 There were so many moments that I wanted to scream at the book but there were other moments that I just couldn’t believe were happening. I totally think I know who Brother Zachariah is but I hope I am wrong. Of course I could totally be wrong and then it wouldn’t matter what I thought to begin with. When you read this book, I am sure you will think the same thing that I did. I don’t want to give too away because all of Cassandra Clare’s books are worth reading. A lot. I gave this book 6 out of 5 stars. ← Exclusive Cover Reveal and Giveaway!!! !